My crew will be back in school tomorrow! I have mixed feelings about their return to school on August 1st. I am happy but I am also sad. No more lazy days, instead homework, carpools, soccer and violin will rule our day. With the return of school comes the preparation. The supply lists, standard school attire, sneakers, locker accessories and lunchbox essentials. If you follow me on instagram you may have noticed the deals I found for their school supplies. 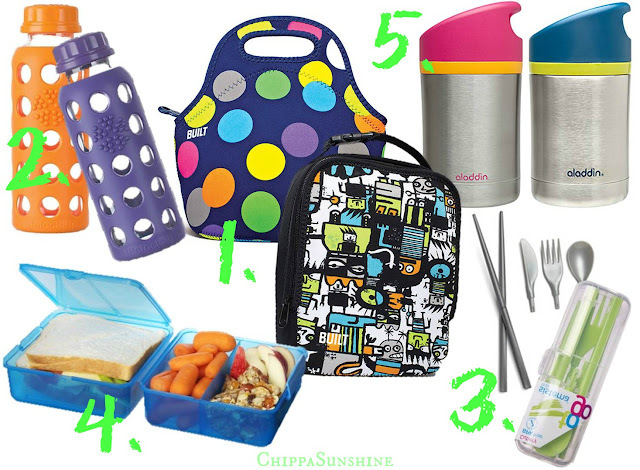 Today I wanted to share my top 5 lunchbox essentials that are a must have in our household. ONE: LUNCHBOX: These are my favorite lunchboxes to pack my kids lunch in. They are insulted and will keep their temperature for up to 4 hours, no ice pack needed. I love the zipper closure! They're made out of neoprene, wetsuit material. TWO: DRINK BOTTLE: If you are a green parent then these reusable bottles will be right up your alley. They are glass but have an protective silicone sleeve to prevent slipping and breakage. It is dishwasher safe! Since it is made out of glass you don't have to worry about BPA leeching out and into your child. THREE: CUTLERY TO-GO: Perfect for lunches and picnics. I am all about the ability to reuse and the reduction of my carbon footprint. I love that this little case has any utensil that one may need at any given time, it even has chop sticks! FOUR: LUNCH CUBE: Long gone is the day you pack your lunch in individual sandwich bags. Enter this handy cube, my daughter loves that it can hold her sandwich, fruit, crackers, chips, etc... all in one handy container! FIVE: THERMOS: Hands down this is my favorite lunchbox essential. It truly keeps your food hot or cold on those days your kid doesn't want the infamous sandwich. 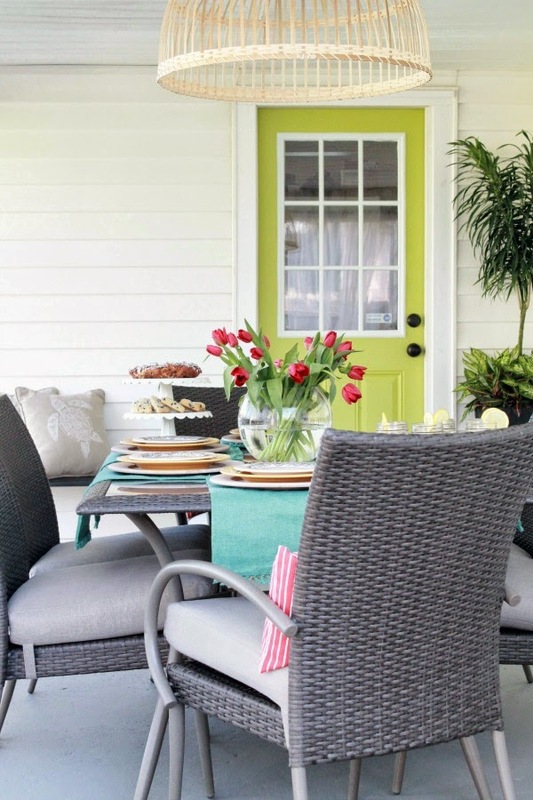 It has a cool to the touch exterior no matter the contents, which is a plus if you are worried about smaller children. What are your lunchbox essentials that you swear by? Those who are still on summer vaca think of me tomorrow, knowing I am knee deep in back to school paperwork! See ya soon! Wow, so soon! I will tell my kids to stop moaning, they return August 12th. My daughter's bf moved to Tennessee and went back in July. We're trying to make to most of these last few weeks. Hope your kiddos have a great first day! School already? Wow! I haven't even started thinking about lunch packing, book bags and supplies. Guess I should start! Tell me about it! I have a love|hate relationship with the start of a new school year.